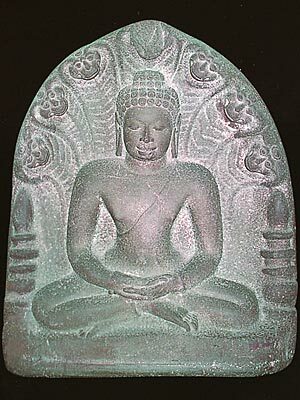 This mudra signifies meditation. Both hands are in the lap with palms upward. The right hand is on top of the left hand. 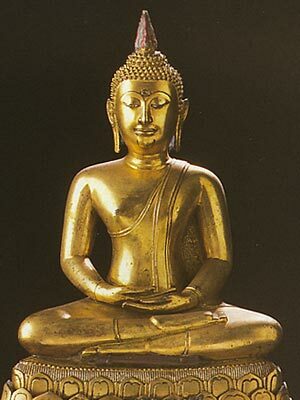 The Buddha is most seated in the half-lotus posture (sometimes called 'yoga', 'Indian', 'Buddha' posture). 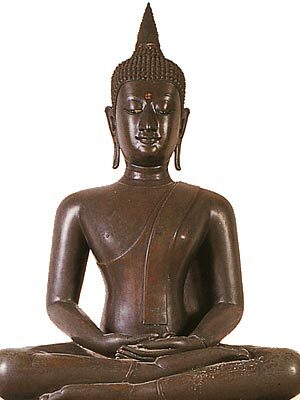 Some images display the Buddha in the so-called adamantine (diamond, or full-lotus) posture with tightly crossed legs, so that the soles of both feet are visible. 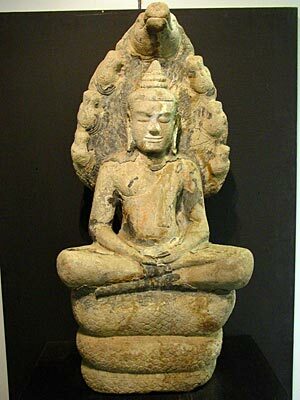 Buddha in Meditation, sheltered by Naga.